Golf widows take heart — if you’re visiting the lowcountry april 13-19 with a fairway fanatic but couldn’t care less about the Verizon Heritage yourself, there’s plenty to see and do that doesn’t require a club or a tee time. 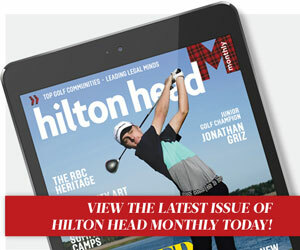 This month, Hilton Head Island’s Signature sporting event and its largest outdoor cocktail party will happen at the same time and place. The Verizon Heritage Golf Tournament, the Pga’s only stop in South Carolina, has been categorized as both. indeed, depending on who’s talking, it is. But that’s OK. They go for the party, and they spend a lot of money. Harbour Town will be party central for the entire week, especially april 17-19. 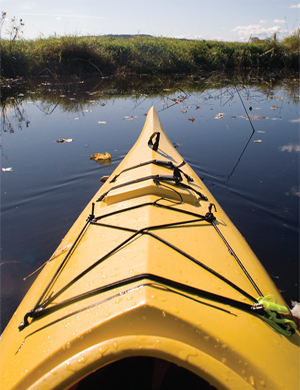 Check out Monthly’s top 10 where and how kayaking guide. It’s time to drag the dusty kayaks out of the garage and hit the local waters. The only problem: There are so many serene settings to choose from, where should you start? A couple of local kayak specialists — north and south of Broad Creek — offer up their favorite paddling places, as well as tips to get you started this season. Carlos Chacon, the natural history manager at the Coastal Discovery Museum, puts Shelter Cove Marina at the top of his list because of its location — roughly the middle of Broad Creek. “This means that when you enter the creek, you can always choose to go against the tide and use the tide on your way back,” he said. 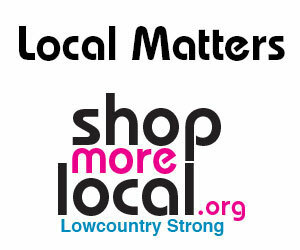 Choose the best time of the day, week and season for the ultimate Lowcountry experience. For starters, try kayaking early in the morning for heightened bird activity and during the week when there are less boats on the water, Chacon said. 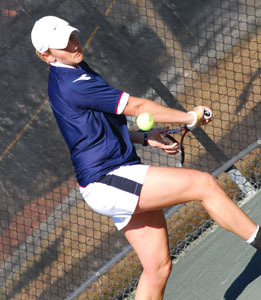 Professional Tennis Registry (PTR) $25,000 Championships were held in conjunction with the PTR International Tennis Symposium, Feb. 14-20 at PTR Headquarters on Hilton Head Island. Minimum air time, maximum ground time. Chipping can also be described as a glorified putt, with a lofted club. The goal of chipping is to strike the ball solidly to your specific target (your target should be approximately 1-2 paces on the green, regardless of the length you are from the hole) and get it to roll farther than it carries in the air, (ex. a pitching wedge will have an approx. ratio of 1 part carry and 1 part roll; a 7 iron however, will have an approx. ratio of 1 part carry and 4 parts roll). The motion is a simple one similar to putting, in that there are few moving parts. Another similarity to putting is that we set up (address position) in an impact position. Bob Bigelow, one of the country’s foremost speakers on coaching youth sports, will kick off the International Tennis Symposium, Feb. 15-19 on Hilton Head Island. The opening games of Beaufort County Parks and Leisure Services (PALS) Bluffton Youth Basketball League, which were played Monday, Jan. 5, are scheduled for broadcast on The County Channel, a service of Beaufort County Council. 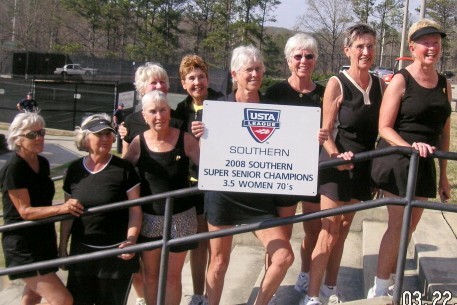 USCB’s Sand Sharks take inaugural tourney. Tradition National Golf Club in Hardeeville hosted the first J. Lindeberg-USCB Sand Sharks Classic golf tournament Nov. 8-9. 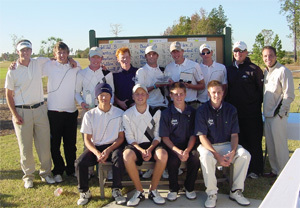 The USCB Sand Sharks men’s team won out over a strong competitive field of college teams, including Savannah College of Art and Design, Berry College, Webber International University, and Edward Waters College. The USCB women golfers came in second among competitors from Northwood College, Spartanburg Methodist College, SCAD, Berry and Webber International. Ninth annual Candy Cane Classic benefits Boys & Girls Club of Hilton Head Island. The Sea Pines Country Club hosts the ninth annual Candy Cane Classic on Dec. 6. Golfers and tennis players can enjoy fun and fellowship while contributing to the programs of the Boys & Girls Club of Hilton Head Island. More than 140 golfers will join together at the event sponsored by Beacon Insurance Group for a continental breakfast, a round of golf, a luncheon buffet and a fabulous auction. Tennis players will enjoy a double round robin, luncheon buffet and auction too. The cost for golfers is $155 including golf cart, range balls, all meals, beverages, hole in one, prize drawings and mulligans. The tennis entry fee is $100 per person and includes doubles round robin, luncheon buffet, auction and beverages.